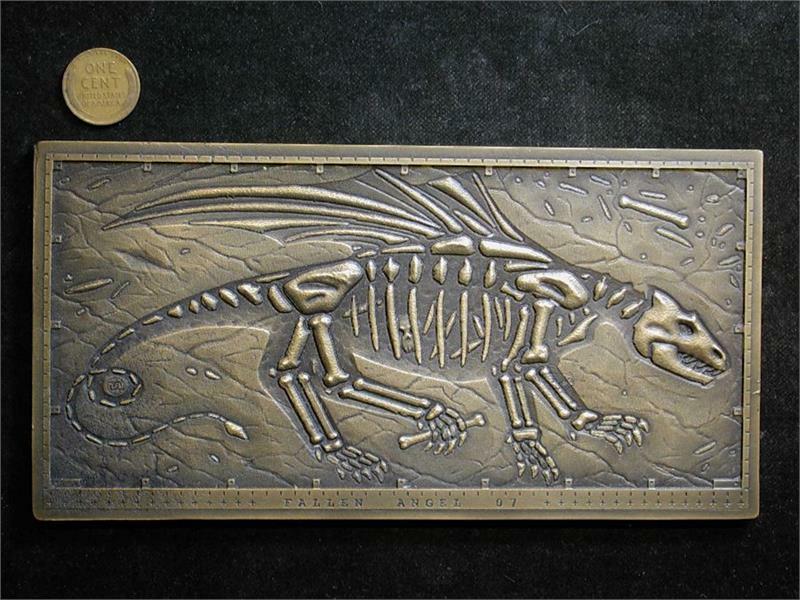 "Fallen Angel 07" (Dragon) cast bronze art medal by Daniel Carr. 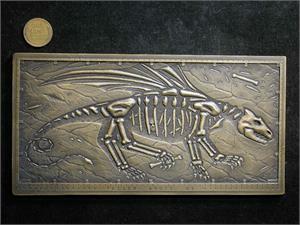 7.0" x 3.5" inches (180mm x 92mm x 4mm thick). US 1-cent coin shown for size comparison. Blank back side with hand signature. Total edition limited to no more than 50 pieces. All will have minor casing differences and small defects. PLEASE ALLOW FOUR WEEKS FOR CASTING AND DELIVERY.